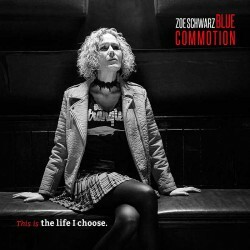 Blues Blast Magazine Album Review: Zoë Schwarz Blue Commotion – This is the life I choose. Zoë Schwarz Blue Commotion – This is the life I choose. Zoë Schwarz Blue Commotion has certainly been keeping busy, and earlier this year they released their fifth album in the last four years: This is the life I choose, a keen follow-up to their fantastic live release, I’ll Be Your Tonight. If you had the chance to listen to that CD you already know that this is a serious blues band with unique songs, tight instrumentation, and a powerful woman up front. This crew has not let up one bit, and their latest album is their best work yet! Blue Commotion is based in the United Kingdom, with Zoë Schwarz on vocals and producer Rob Koral on guitar. 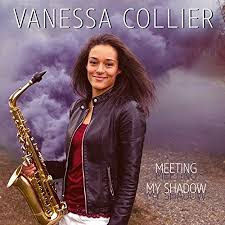 Their comrades in arms include Pete Whittaker on the Hammond organ and Paul Robinson on drums, and the horn section of Ian Ellis (sax), and Andy Urquhart (trumpet) also join in for a few tracks. These folks are pros, and they were able to lay down all thirteen tracks (eleven of them originals) in just two days last October at Platform Studio. The result of this fast-paced production schedule is an album with a vibrant feel, and Zoë says that she likes to work “in the moment,” which has been very effective for this band. The lyrics for the album’s originals were written by Zoë and Rob, and there also contributions from Phil Coles and Pete Feenstra. 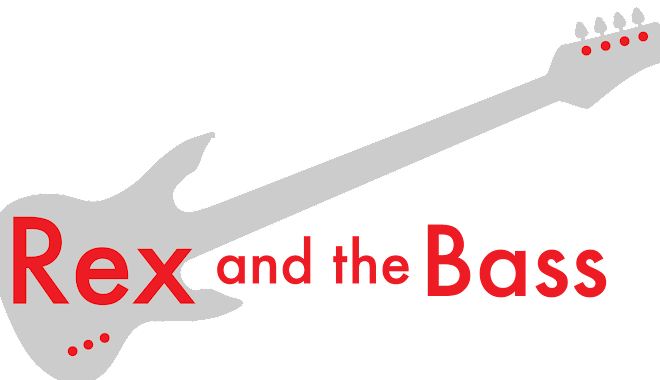 The songs are a neat mix of playful, sweet, and serious, and the ones related to living life in the music business will resonate well with listeners. For example, the title track sets the mood and theme for the album, as “This is the life I choose” provides a glimpse into the hearts and souls of musicians who put everything they have into their art. 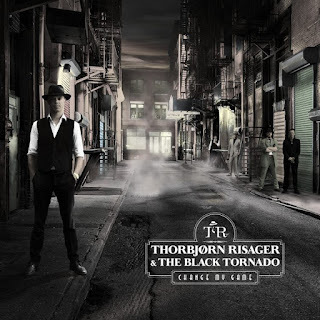 This power ballad is presented in a 1970s blues-rock format with cool dynamic changes and oodles of distorted organ from Whittaker and heavy drums from Robinson. 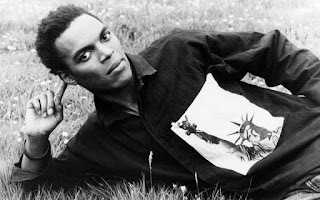 Then there is “I Can’t Live Like That,” which has a completely different feel, going with an upbeat and funky sound that includes the horns of Ellis and Urquhart while Schwarz growls out the advice to message of not letting people get in the way of your dreams. And “My Baby Told Me So” spans the gap between blues and jazz with the message that, the blues and a faithful companion will make things seem a bit brighter, even if you are short on money. Relationships are also a reliable source of song lyrics, and Blue Commotion heads there right off with the opener, “Hold On.” Coles’ words capture the essence of a dying romance, and the band delivers with Zoë’s edgy vocals and their hard rocking accompaniment, which includes a scorching solo from Rob. There is also an upbeat plea for unity with our fellow man with “People,” which has a decidedly international feel with its driving bass line and slick solo breaks from Rob and Pete. But, perhaps the most poignant track on This is the life I choose is “Broken,” a heartbreaking R&B song that addresses a hopelessness that many of will never know, but many will endure. This song has been released as a single, with proceeds going to charity to help the less fortunate among us; please keep this in mind as you listen to Schwarz’s emotional narrative. This is the life I choose is a wonderful combination of modern blues sounds with infusions of jazz, funk, rock and soul. The songs are all well written and performed by a professional band, and the engineering and mixing meet the group’s high standards. Blues fans will surely dig this new release from Zoë Schwarz Blue Commotion, and if you will be on their side of the Atlantic you are in luck as they have plenty of UK shows and festivals scheduled. For those of us in the states, there is always the possibility that they will make it over here for a festival or a tour sometime soon. They are highly entertaining with a great catalog of original music, so hopefully they can make this happen! Of course, it does not hurt that the Champion 600 is very affordable. It looks like it has been discontinued, and they now sell for more than they did when they were new, with prices starting around $200. 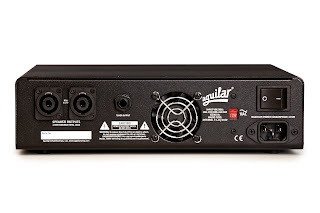 But be careful, as these are popular amps to mod, and you might not know exactly what you are getting into. Before you start rolling your eyes at today’s subject guitar, I have to say that this is not one of the run-of-the-mill Epiphone guitars that are put together by little kids in China. 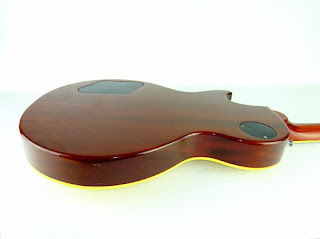 These guitars were assembled at the Fujigen factory in Japan, so they are very well made and a tremendous value for the player who is on a budget. This one is a 1999 model year LPS-80 so it originally sold for 80,000 yen, which is a good chunk of change. It is a gold top, which is not the most common Epiphone color and it has the Gibson-style open book headstock shape. 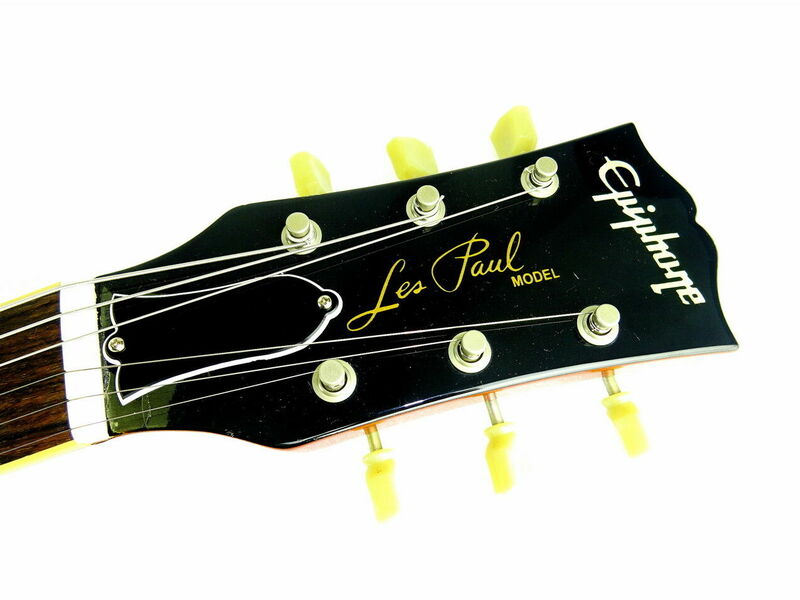 If you do not look at the headstock logo you would be hard-pressed to tell the difference between this and a real Gibson gold top. 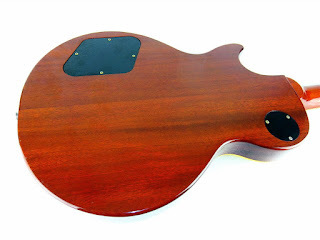 The bound body is made of mahogany with a carved maple top and it does not seem to be chambered. 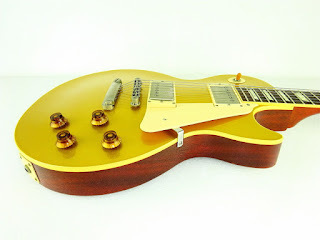 The hardware is standard Les Paull-issue chrome stuff (including Gotoh-sourced Kluson copies), and the single-ply pickguard matches the cream-colored binding. The electronics are very good. 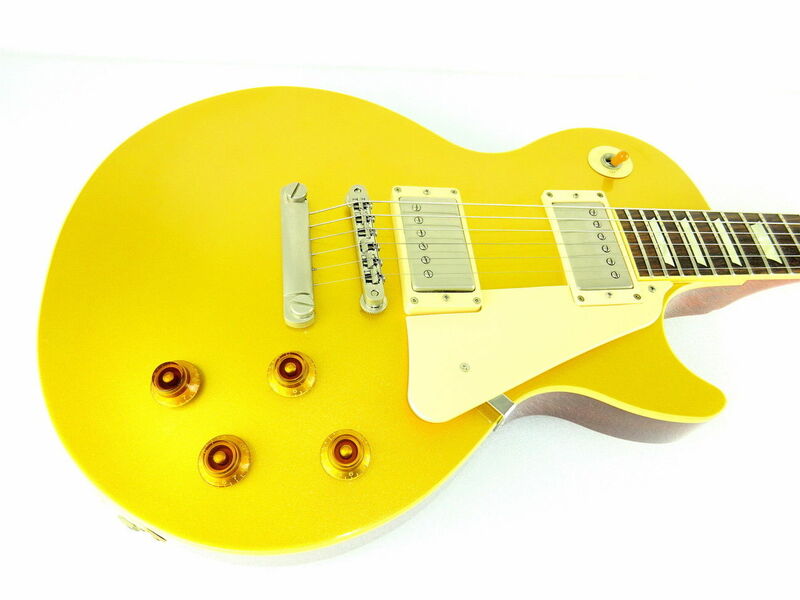 It is wired with a 3-way switch and dual volume and tone pots like every other Les Paul, and it has a very beefy tone. 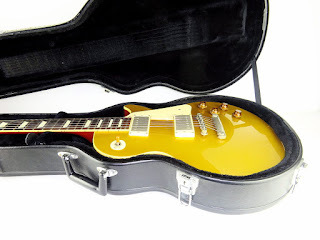 As it plays well and sounds good, I did not pull the pickups, but rumor has it that they were supplied by Gibson: a 498T in the bridge position and a 490R at the neck. The neck is nice and thick with a 50s feel. 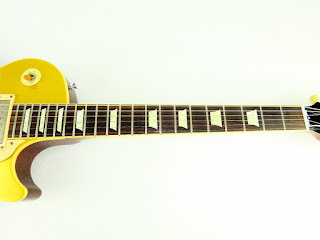 It has a rosewood fretboard and MOP inlays and fretwork show fine craftsmanship, and still look very good 20 years after this guitar was built. I do not really see anywhere where they cheaped out on this one. For a 20 year old guitar, the overall condition is very good. The paint is still nice and glossy, with some swirling and a small chip on the back of the headstock. The headstock laminate started lifting at the nut, but this has been arrested, for now at least. There is very little wear to the frets, and no signs of a hard life or abuse. There appear to be no other repair history of modifications. This Epiphone is a really nice guitar for not much money, and it is probably is better quality than 90% of the guitars coming out of Gibson’s US factories today. 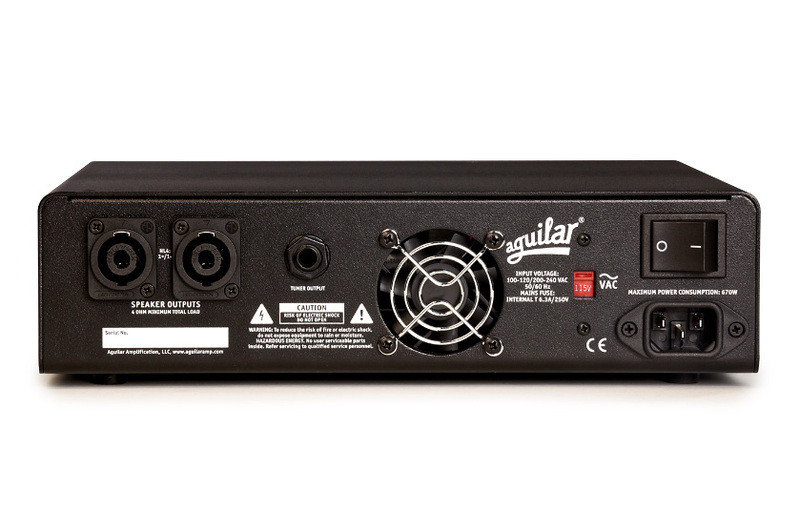 After I set it up with Ernie Ball Slinky .010s. and it plays like butter and sounds killer. I hate to say it, because it never comes true, but this one might be a keeper! There are no hard and fast rules about how the blues should sound, and aside from a few basic structures and patterns, the limits of the genre are only set by an artist’s imagination and attitude. 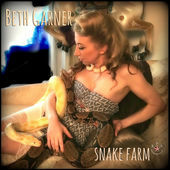 Beth Garner is not short on either of these attributes, and her third album, Snake Farm, is both unique and adventurous. 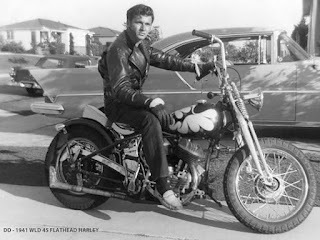 These results are possible because of Garner’s personality and energy, as well as her prowess on lead and slide guitars. Beth Garner and Randy Kohns were producers for this project and joining Garner in the studio were Steve Forrest on bass, Wes Little behind the drum kit, Rory Hoffman on saxophone, keyboards, and rhythm guitar, as well as backing vocalists Angela Primm and Gale Mayes. This is a short album, coming in at a bit over 26 minutes, but Beth wrote six of the seven tracks and they all tell interesting stories. For example, the opener, “Alright by Me (Mr. Fisher),” is the tale of a woman who pines for Mr. Fisher, and the lively vocals are set to a laid back (yet funky) rhythm and blues score. Edgy guitar leads, honking baritone sax, and pretty harmonies complement Beth’s unique style. The mood picks up with “Used to Be,” a hot shuffle with bouncing bass, heavy slide guitar and tight harp accents. The message here is that maybe it is better to not settle for an old flame that didn't work out the first time. In a similar dysfunctional relationship theme, “Ramblin Man” is about falling for a musician that just won't be sticking around. 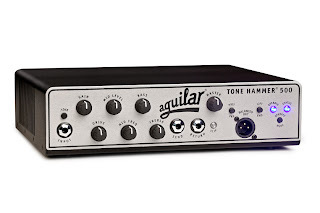 This is a gnarly piece of funk that feels like a bass and drum jam that has a song breaking out on top of it.